The internet has brought about major changes in the ways that we communicate. The expansion of knowledge through the network has opened up countless opportunities for cultural and commercial exchange. Today over 18 billion devices worldwide can be connected to the internet, and this interconnectivity is the scaffolding for trade in goods and services based on new information and communication technologies (ICT). In Latin America and the Caribbean, meanwhile, internet penetration in uneven, with rates that range from 23.4% for Guatemala to 72.4% for Chile. The percentages of the population with access to fixed and mobile broadband also vary within the region, according to ICANN’s Latin American and Caribbean DNS Marketplace Study. ICANN is responsible for coordinating the unique internet identifier system. “The country least connected to broadband is Paraguay (2.5% fixed; 4.2% mobile), while the most connected countries are Argentina (14.7% fixed; 53.6% mobile), and Brazil (11.5% fixed; 78.1% mobile)” the publication notes. Along with the gradual migration of network access to mobile devices, the technology standards for mobile infrastructure are continually being updated. Although LTE (long term evolution) is the latest standard to be rolled out, the next leap (which is expected for 2020) will be 5G, which operators are already at work on. All the same, LTE continues to evolve and improve. The latest version is LTE-A (LTE-Advanced), which is now being deployed throughout Latin America. According to 5G Americas, the umbrella organization for telecommunications manufacturers and suppliers, during the first quarter of 2016, LTE connections increased by an annual 81% throughout the world. During that period, Latin America and the Caribbean added 59.4 million new connections or 154% growth. However, the spread of LTE was very uneven: while penetration rates in North America have already reached 79% and are expected to reach 100% by 2019, in Latin America it only has a market share of 16%. With regard to use levels, the broadband mobile gap in Latin America and the Caribbean is “relatively small, as only 10% of the population (around 64 million people) live outside areas with 3G or 4G coverage,” according to the organization. However, only 33% (207 million people) use broadband mobile services. “This means that there are 57% (363 million people) who have access to broadband mobile coverage but are still not online,” 5G Americas admitted. 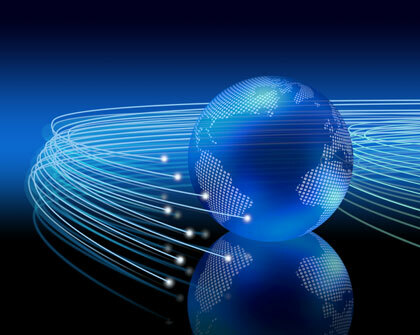 Throughout the world, the spread of 3G and 4G technologies have improved internet access. In 2016, broadband mobile networks served 84% of the world’s population. However, “with 47.1% internet user penetration, the number of internet users remains well below the number of people with network access,” acknowledges a report from the International Telecommunication Union (ITU). Despite the drop in prices in 2015, the ITU admits that these are still high and “clearly unaffordable” in several LDCs. “Globally, the price of a basic fixed-broadband connection fell from around USD 80 per month in 2008 to USD 25 in 2015 […] In LDCs, a fixed-broadband plan with a minimum of 1GB of data per month still corresponds to over 60% of GNI per capita,” says the ITU. Although Europe is still spearheading the adoption of ICTs, several countries in Latin America have significantly improved their ranking in the ITU’s ICT Development Index (IDI), particularly Bolivia and Mexico, “which made noticeable progress in their performances.” The ten countries at the top of the IDI include three economies in the Asia Pacific region and seven European countries, while three Caribbean states (Saint Kitts and Nevis, Dominica, and Grenada) showed major increases in their performances. The opinion polls carried out by the INTAL/Latinobarómetro partnership have examined the correlation between internet access and how important respondents think creativity in children is (the number one choice out of a possible three ways of fostering innovation). The number of fixed broadband internet subscribers (per 100 people) is the classic indicator of telecommunications penetration in local economies, based on the assumption that greater technological availability facilitates different aspects of integration, such as the possibility of engaging in e-commerce with clients and suppliers from other countries. Analyzing the poll results reveals that innovation is valued increasingly highly as citizens gain greater access to new technologies and knowledge. This is true for Uruguay, the country with the greatest number of broadband internet subscribers in the region, which is also the country that places most value on creativity in children. At the other extreme are countries like Nicaragua or Bolivia, where internet penetration is low and where creativity is considered much less important. Facilitating internet access through technological democratization programs could therefore contribute to raising social awareness of the importance of innovation. The Internet of Things: Objects that Talk to Each Other and Trade with Each Other. Connections between devices will change the way in which we trade, while bringing about significant savings in planning and logistics costs. What risks does information leakage pose? INTAL Connection 231. Broadband Can Help Low-Income Populations. Connectivity, productivity, reduced costs, and more information are some of the benefits it brings. INTAL Connection 239. Do It Yourself: 4D Printing and Trade . How digital manufacturing and the Internet of Things can change integration and the way we do trade. INTAL Connection 241.